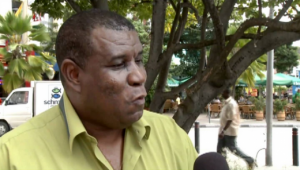 WILLEMSTAD - It is still restless within the political party and coalition partner PNP. Friday, Minister Earl Balborda of Traffic, Transport and Urban Planning resigned after PNP party leader Humphrey Davelaar previously had terminated his confidence in him. This week there is a meeting of the party to talk about the future. The morning newspaper Vigilante says that members have the intention to file a motion against party leader Davelaar and the party board.